Sharon Bonneau is a single mother of four children who lives in Webster, Mass. She’s also an electrical apprentice in her second year at Interstate who is on her way to becoming a licensed electrician. A far cry from what it was even a generation ago, today the electrical trade is one of the most exciting in the field of construction. Everything in our connected world requires electricity, from the simplest hand-held device to the most sophisticated manufacturing plant. As a career, it demands both manual and mental dexterity – the ability to not only work with their hands, but with their minds. Upon completion of their apprenticeship, today’s electricians have a knowledge base and skill set that no single college degree can provide, but would require degree programs in several different disciplines. It is a career filled with possibilities and paths for enrichment and advancement. A career in the electrical trade is within reach for women, and unlike most other jobs that pay similar wages, requires no college debt. Still, too few women and girls consider the electrical trade as a career option,or know that people with a wide range of skills and interests can find a path that suits them, in engineering, design, project management and more. 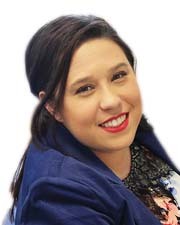 Melissa Coley of Clinton, Conn. is an assistant project manager for Interstate who has worked out of the company’s Connecticut office for over a year. Prior to her employment in the electrical trade, Melissa worked as a nanny. Initially, she was nervous about entering a new field, but that soon changed. Melissa finds her work rewarding. “You’re always learning something new every day and you’re always solving some sort of issue,” she says of her job in project management. One thing that many of the women who work at Interstate recall is that they were discouraged at an early age from even considering the electrical trade. This needs to change. With college loan debt surpassing $1.4 trillion in the U.S., the electrical trade offers paid on-the-job training and classroom education, with zero debt incurred to become a licensed electrician. It’s a great option for the right person, regardless of gender. Chelsea was out of college and working in education when she decided to make a change and pursue an apprenticeship at Interstate. 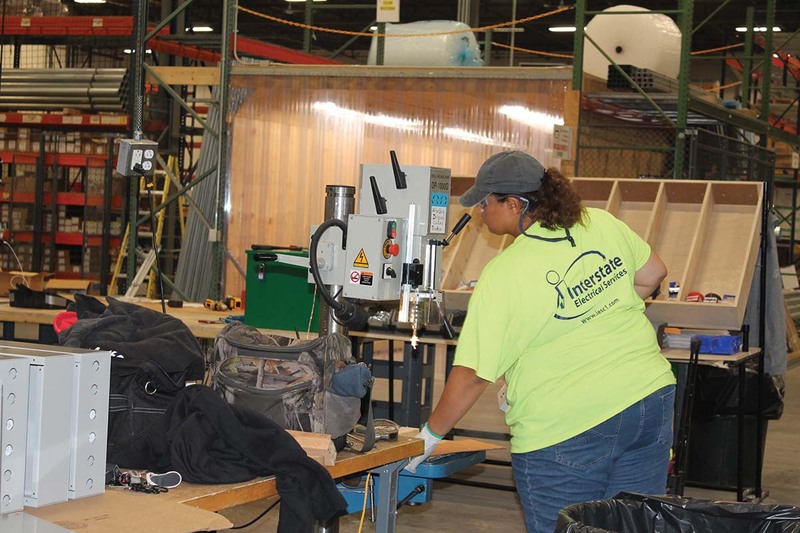 An important development that has leveled the playing field for women at Interstate is adoption of lean manufacturing methods. Licensed electricians in the field use their skills and experience to solve complex, real-world problems with designers, engineers and detailers, not lugging cable and wiring boxes. That work goes to Interstate’s 100,000 s/f prefabrication “Operation Center.” Component assembly requiring precise hand motor coordination is now performed in a well-lit, temperature-controlled UL-approved facility instead of a jobsite that may be cold and dark. Interstate’s just-in-time targeted delivery methods ensure that materials and equipment are packaged and delivered to the point of installation, eliminating much of the heavy, awkward “grunt work” of the past that used to wear down the bodies of men in the past and may have discouraged women from entering the trade. The benefits of lean methods extend beyond job safety for women. Lean is a way of doing business, a philosophy, that rewards good ideas, mutual respect and collaboration. Employees are rewarded for their hard work and results, regardless of gender. 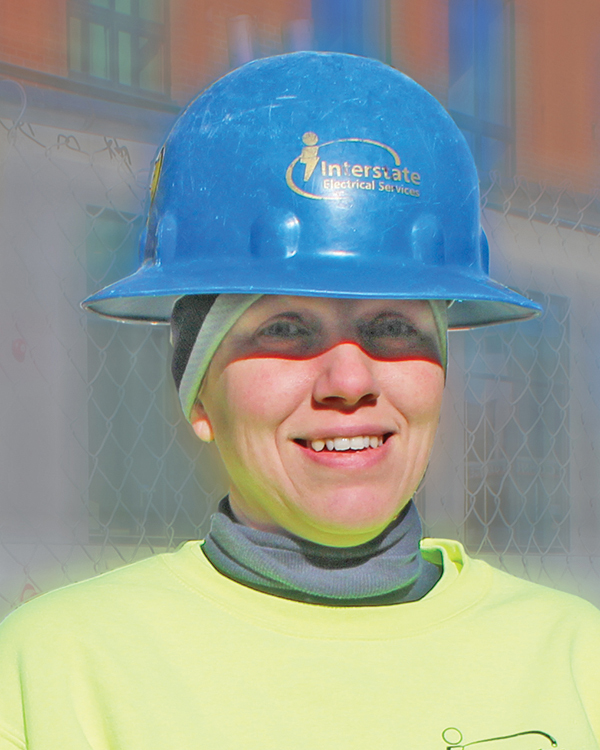 Engineering, design, business development, working in the field - women are taking on and succeeding at all sorts of jobs at Interstate. The low participation rate of women in the trades isn’t anything new. In 1981, the Department of Labor under President Jimmy Carter set a target of 6.9% for women in the construction industry, a goal that has stayed far out of reach for all of the professional trades. In 2014, women made up 2.4% of electricians, virtually unchanged from 2002. What has changed since then is the growing urgency of the skilled trade labor shortage as the workforce ages and retires, a serious problem that threatens to become a full-blown crisis if more people from more diverse backgrounds, including women, are not attracted to the electrical trade. High quality employees come with all backgrounds and experiences, and although their numbers are still small, some of Interstate’s greatest success stories are women. Interstate is always interested in talented and motivated people. If you or someone you know has the drive, determination, and positive attitude to be part of a dynamic team, contact our human resources department today. Our apprentices are our future. They are valued team members with talents that are uniquely their own. Our job is to foster their potential, build self-confidence, provide formal education and hands-on experience that awards them growth and future opportunities. Our paid apprentice training program provides the foundation for your state license. Our apprentices are mentored in every job task, including real life project situations where they benefit from the team’s collective knowledge and experience. We offer our employees a competitive benefits package including safety, financial, health and training programs. 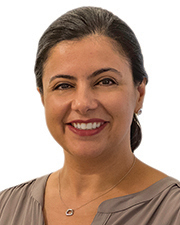 Luiza Mills is vice president of human resources for Interstate Electrical Services, Windsor, Conn.